Every year on 14 February, people honor their love for one another by spending quality time together, exchanging special gifts, and generally spoiling one another a little more than usual. While it is advisable to make sure that the object of your affection knows how much you care for them each and every day of the year, the month of love provides the perfect opportunity to shoot for the moon and pull out all of the stops! We love helping our guests to create unforgettable moments for those they cherish (friends included), so if you are seeking to express a heartfelt ‘I love you’, we have a few sweet suggestions that might just do the trick. 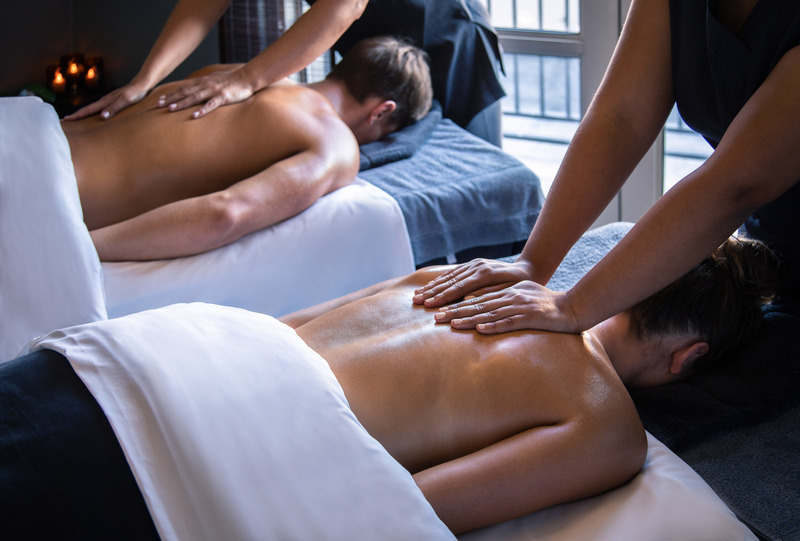 Spoil your love from head to toe when you book a relaxing couple’s massage at the Spa at Cape Grace. Our gently warmed massage beds and pristine, luxurious linen with heated blankets envelop the senses, while the skilled hands of our therapists will melt away the stresses of life – leaving you both floating on a shared cloud of bliss. Our spa facilities also include a waterwise sauna as well as complimentary herbal teas and snacks from our tea bar, so take some time to recline in your white robes, while you soak up the views of the harbour and city. See our full Spa menu online. Woo your beau the old-fashioned way with steaming pots of tea and an array of tiered treats, served in our Library. 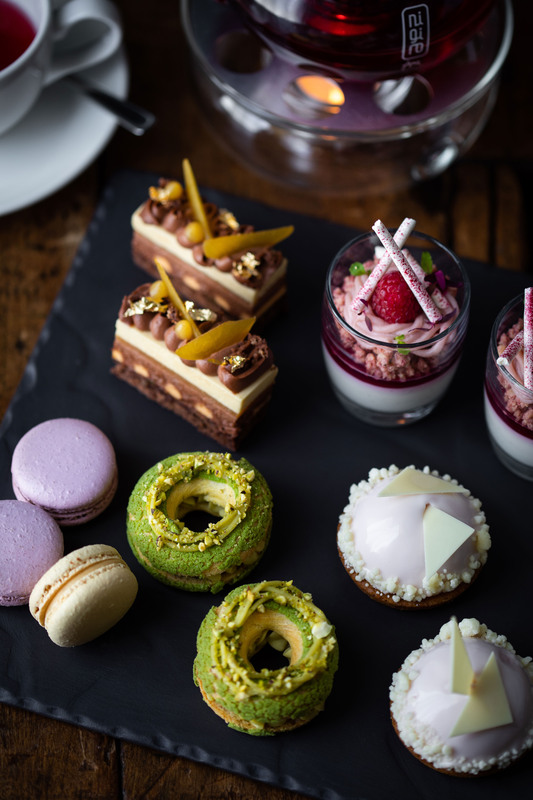 Savoury and sweet scones, dainty salmon bites, cucumber sandwiches and delicately decorated pastries all come served on gleaming platters as part of our full Afternoon Tea. As it is an extra special occasion, make sure to include a glass of bubbles, and while away your time together, in unusually unhurried fashion. If you are spending Valentine’s Day with friends, or family, this is also an excellent group option. Mouthfuls of sigh-inducing morsels are a sure-fire way to any foodies heart. Book a romantic dinner for two at Signal Restaurant, and spend the evening journeying through the Tasting Menu together (available for Vegetarians too). 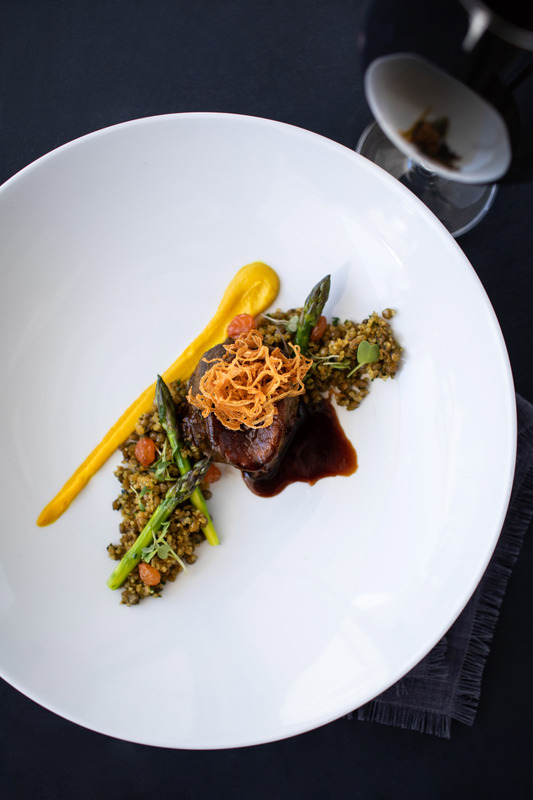 With dishes like Spiced Kingklip, Pork Belly, Seared Springbok Loin, and of course, our Dulcey Mousse, there might not be much talking, but we can certainly guarantee that there will be lots of smiling. The tasting menu can also be paired with a selection of the Western Cape’s finest wines, each one chosen by our Master Sommelier, Marlvin. Alternatively, order a bottle of MCC (South African Champagne) and toast to your night together. Head down to the swinging Bascule Bar and enjoy a pre or post dinner cocktail, against the backdrop of the twinkling marina. Soft jazz, the chink of glasses, the hushed whispers of affection and the general cozy ambience will make for some starry-eyes and serious brownie points. 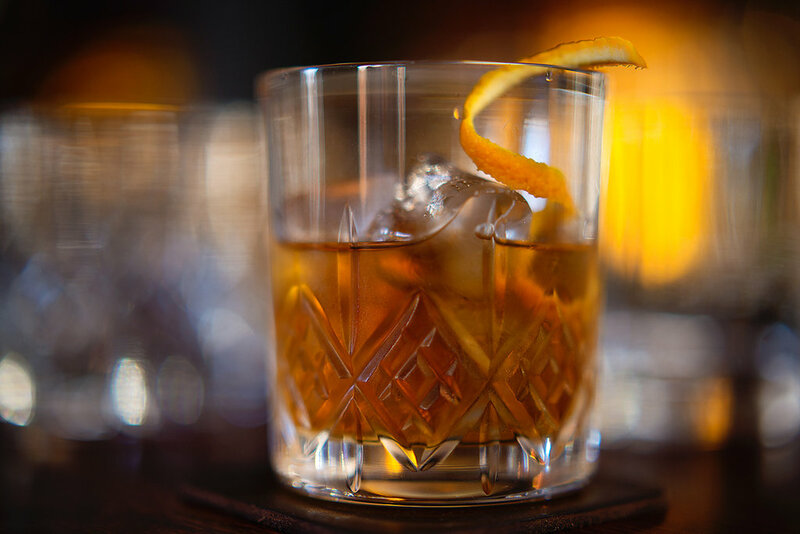 Our favourite cocktail is the Old Fashioned – a whiskey-based concoction made with our secret infusion of syrup. However, our mixologists are skilled in the art of blending just about anything your tastebuds might desire, so settle down into a leather chair and peruse the menu, over some delectable bar snacks if it pleases you. If you are in search of a gift, the Bascule offers some truly superb Whisky Tasting experiences, all of which can be bought as gift vouchers. Crimson red roses are lovely, but why not treat your Valentine to something far more unique (just like they are). Our old-fashioned flower trolley, stationed just outside the entrance to the reception, displays an array of beautiful, local blooms. 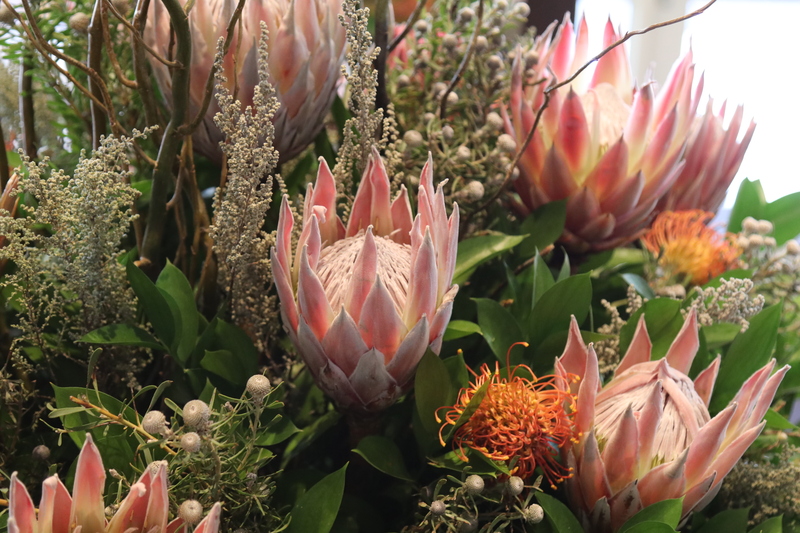 Each bunch is bespoke and bursts with sprays of our indigenous fynbos, bright yellow Pincushions and of course, our Proteas – in pinks, whites, and red. Beat the rush and preorder your bunch by speaking to our concierge team – they are always eager to help.